Distinguished guests at the AFO Gala du Centenaire Patron's Party: From left to right: Anne Marie Kenny, Centennial Gala Chair, Nicholas and Jane Bonham-Carter, Honorary Chairs, Consul General Guillaume Lacroix, Guest of Honor, Vera and Mark Mercer, Honorary Chairs, and Holly Richmond, Présidente, Alliance Française d’Omaha. Honorary Chair Mark Mercer sharing his father Sam Mercer's desire that the Old Market would establish a "centre de ville" in Omaha similar to French and other European cities. Cédric Fichepain, Honorary Consul, Consul Général Guillaume Lacroix, Bernie Duhaime, former AFO President, all looking dapper. Dinner guests enjoyed magical illuminating fleurs along with poster prints of photographs by Jim Scholz, depicting Parisien life. 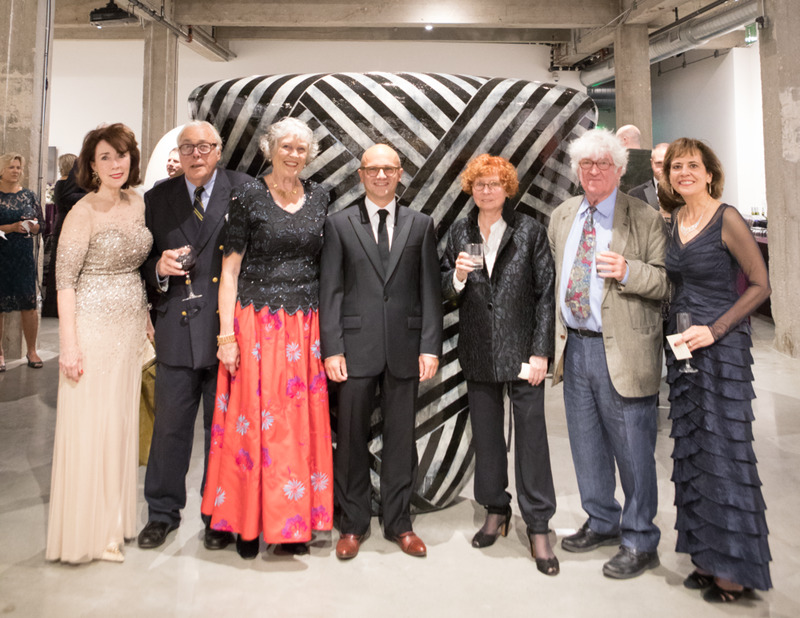 From left to right: Holly Richmond, President of the Alliance Française d’Omaha, Jim and Judy Wigton, special guests, Jody and Roger duRand, special guests, and Anne Marie Kenny, Centennial Gala Chair. Accompanied on piano by Jennifer Novak-Haar, award-winning soprano Kate Johnson regaled the audience with numerous French musical selections. Plat principal. Canapés and dinner by Jim Major, Executive Chef, Abraham Catering in consultation with Chef Cédric Fichepain CEC. 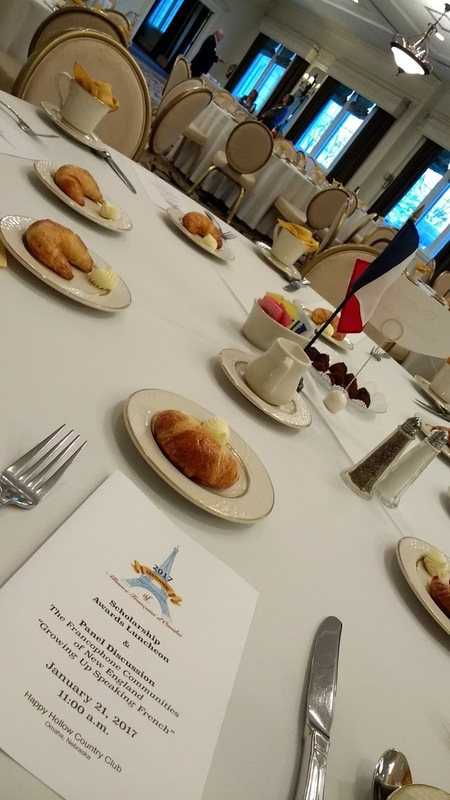 Honored guests included Kate and Nicolas Bonham-Carter, Judy Wigton, numerous former AFO Presidents and generations of past President's family members were all in attendance. A wonderful turn-out for our centennial book launch. Our thanks to Chris Behr and Marty Skomal for their lively performance of past AFO presidents - way to sell the book, gents! We are so proud of the group effort to bring this history to fruition. Order your copy today! AFO President Holly Richmond addresses members and guests at Happy Hollow Country Club. AFO Members and guests enjoyed a wide array of entertainment. Many thanks to all who brought delicious food to share - the best way to celebrate! New AFO President, Holly Richmond doing her best to sell raffle tickets for our grand prize - free 10-week AFO French Language course. Congratulations to the winner! Our lovely venue for the day's fête. No Bastille Day is complete without traditional can-can dancers! They were marvelous! AFO President, Anne Marie Kenny and our lovely Salon d'Autrefois hostess, Mary Jochim. Anne Marie Kenny performing La Vie en Rose - fantastique! AFO member John Fruhwirth and new members, Dan and Gloria LeDroit. Juliette Parnell delivering two of her favorite French poems. Susie Baer Collins, Barbee Davis and Marty Skomal performing a scene from Molière. We love our volunteers! Mitzi Friedman and Zac Baer preparing for the salon. Congratulations to all contestants for the Dessert Concours - incroyable! The Saumon en Gelée was made by Marty Skomal. AFO Members and guests enjoying Marty Skomal portraying George Dinsdale, 7th AFO President with Chris Behr as AFO Founder Felix Despecher. Our thanks to Esther and Dan Brabec, who opened their lovely home for this event. David Teche, AFO Vice President, our distinguished presenter, Scott St. Louis and Anne Marie Kenny, AFO President kick of the luncheon at the UNO Thompson Alumni Center. Marie Lee, Staff Assistant, UNO Foreign Languages and Literature department and AFO Member Elizabeth McCartney help host and greet guests for this interesting presentation. AFO Members Colleen Sariscsany and Holly Richmond with Scott St. Louis.